Buying a house is no joke if you are investing your life’s savings into it. A real estate investor looking for a second home to rent out needs to be cautious too. The team at myvilla.com met with some of the top real estate market experts in Dubai and identified the top five risks that an investor must avoid during the home-buying process. It is important to understand the difference between freehold and leasehold property in Dubai. Freehold properties are available in specific areas, as defined by the government, where anyone can buy real estate. Leasehold properties are only available for lease by a local landlord for a period of more than 10 years up to 99 years; they can’t be purchased outright. 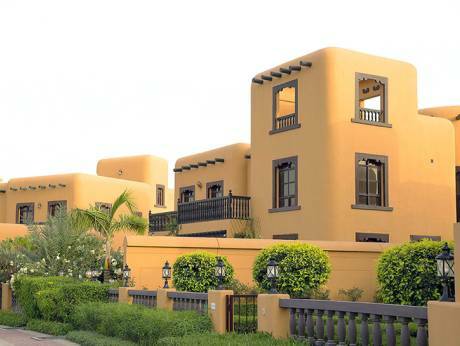 Dubai’s communities provide the necessary amenities that residents may require. However, there are areas with affordable housing that may suit one’s budget. Based on proximity to the workplace, educational institutions and health care, buyers need to strike the right balance and choose what’s best for them and their family. Most buyers jump the gun by booking a property before securing loan approval from a bank. A specialised broker can work through the documentation and help you secure the mortgage swiftly. If you are buying a home from a reputed developer and investing in an off-plan property, you may get the chance to view the property first hand. If it is a resale, then make sure to consult with a professional home inspector to check for faulty fixtures, plumbing and electricity. Most reputed real estate companies carry out this task for you. It’s best to seek the help of a lawyer and Real Estate Regulatory Agency-authorized agent. The agent will assist in previewing all documentation work and carry through the deal to completion, down to ownership transfer.